Our newest family member surprised us with his arrival on Sunday. We were not expecting him just yet. He was born into the loving hands of his daddy in our home, with the assistance of our Certified Nurse Midwife, Sandra. He and I are doing great, and big sister and big brother are loving their new baby brother! We are incredibly blessed! God has answered our prayers for a healthy baby! This entry was posted in Abriella, Baby Joyner #3, Colby, Family, Jennifer, News, Stephen. Bookmark the permalink. 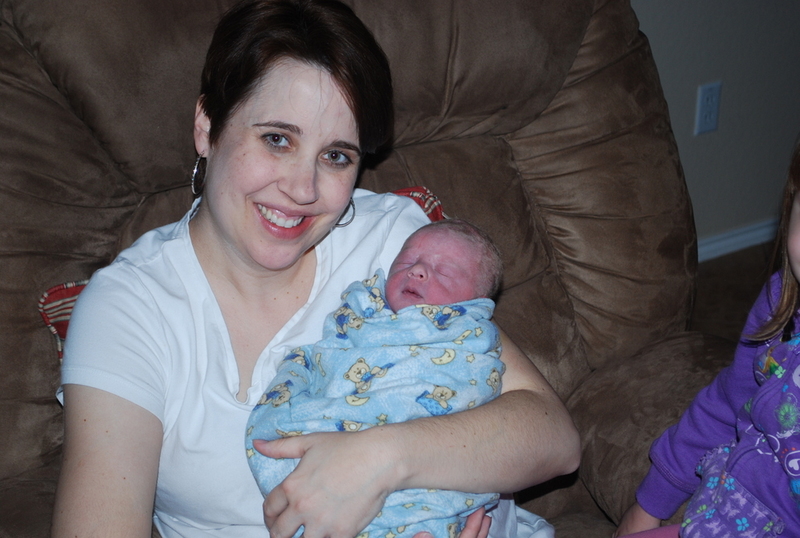 2 Responses to Introducing Ridley David Joyner! Congratulations, all! Very exciting times!